WASHINGTON (CNNMoney) - Would you rather surf a giant wave or get crushed by it? That's the choice state and national governments face as they stare down the coming influx of autonomous vehicles. Self-driving cars are increasingly common sights on roads in California, Arizona, and a few other pioneering locales. They're still something of an anomaly, sure, but it won't be long before autonomous cars go from being an exception to being the norm. Just when that happens remains to be seen, but the Governors Highway Safety Association says there's no time to waste. In a report released Wednesday, the association outlines a long list of questions that must be addressed. Laws that may need to be passed. Law enforcement practices that may need to change. And then there's all the public education to be done if people are to learn how to share the road with cars that drive themselves. For example, will people need to wear seat belts if, as experts believe, autonomous vehicles will be much safer than cars today? If the answer is yes, that could pose a problem for some of the more outlandish vehicle concepts that resemble offices or living rooms. Another question: Should tailgating be allowed if done safely? Self-driving vehicles could be programmed to follow each other with the thinnest of margins, a tactic called platooning that increases fuel economy. Jaywalking could become a critical issue. Pedestrians and pranksters, knowing that the cars are programmed to yield to any in their path, could bring traffic to a halt. Outfitting the cars with facial recognition technology could help identify violators, but that raises its own tricky issues. Proactively answering these questions could solve a lot of trouble and expedite the arrival of autonomous vehicles, which experts expect to significantly reduce the 40,000 or so lives lost on U.S. roads each year. 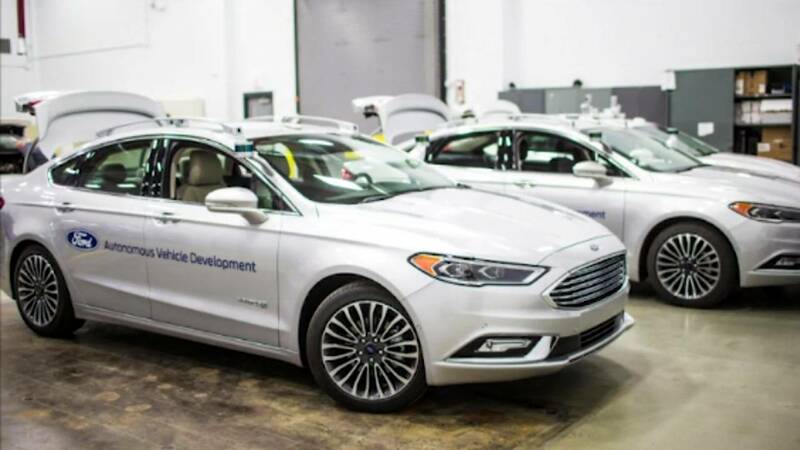 "A little investment on the front end might pay real dividends on the back end," Jim Hedlund, a former National Highway Traffic Safety Administration official who wrote the report, told CNN. Hedlund said some states have been quicker than others when it comes to preparing for the autonomous age. If governments wait too long to act, they may find themselves scrambling to catch up. Although most experts agree that it could be a decade or more before the vehicles appear in large numbers, that could change as technology advances or business models change. "It could be the tragedy of the commons," said Eran Shir, whose company, Nexar, makes a dash cam app that warns of impending crashes. "Someone like GM could decide they want to overcome Uber and launch 100,000 vehicles in a city." Although the odds of that seem long, the fact remains these cars are coming. Beyond knowing how to regulate them, government agencies and insurance companies will need to know how to identify them, and adapt things like vehicle accident tracking to monitor and include self-driving vehicles. Crash data presents another open question. In the event of a traffic collision, what happens to the data collected by an autonomous vehicle's myriad sensors and cameras? Who owns that data, and what steps must the police, insurance companies, and others follow to obtain and use it? Even mundane issues like ensuring roads are relatively smooth and clearly marked will become increasingly important, said Avery Ash, head of autonomous mobility at the transportation data company Inrix. Simply incorporating local and state traffic rules into the algorithms underpinning autonomous vehicles is an issue. Last month, Ash's company launched a tool that allows cities to digitally share that information with the companies making autonomous cars, saving them the trouble of manually encoding those rules. Clearly there is a lot of work to be done. But Hedlund believes states will be ready for the arrival of these vehicles if they start preparing now. He cites Florida as an example of a state that is looking ahead. The state has since 2013 held an annual summit to examine some of these questions, and has passed some legislation to allow self-driving cars on public roads. "It's fun being in a bit of a Wild West where the rules are being made as we go along," said Bob Frey, director of planning and innovation at the Tampa Hillsborough Expressway Authority, which manages several key highways in Tampa, Florida. "In highway engineering you don't usually get that chance to be that creative."